I am not here or writing to tell you how you SHOULD or SHOULDN'T Freelance, i am basically here making the pit-falls and hopefully some success throughout and documenting exactly what tools and products i use to help me & ultimately you through the day. 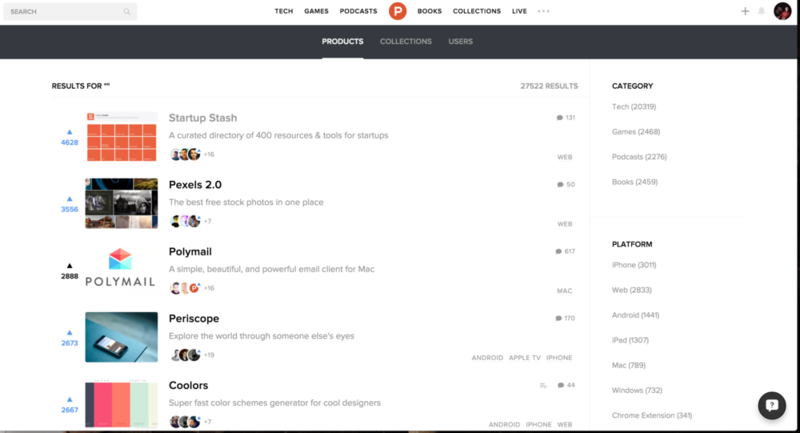 Product Hunt is a curation of the best new products, every day where you can discover the latest mobile apps, websites, and technology products that everyone's talking about. This is an absolute must as you are able to completely tailor your products into collections for future use, you can view my personal Freelance Graphic Design Starter Kit to get an idea on the sort of products which may notice in the next couple of posts. Searching through products or collections makes it easy to find out if there's an app to make my life easier or more productive. "Hunters" "Makers" and general public are intwined to make it a very personal visit where you can improve, comment and chat with the creators of the products. I would normally visit this first thing in the morning to checkout the previous day's top rated and curated products, and in the afternoon straight after cheeky nandos lunch to check and see what's trending. I respect your privacy, I don't care for it, but i respect it. Thanks a million, hopefully what i talk about will be of some use to you some day and you can avoid the mistake i make!